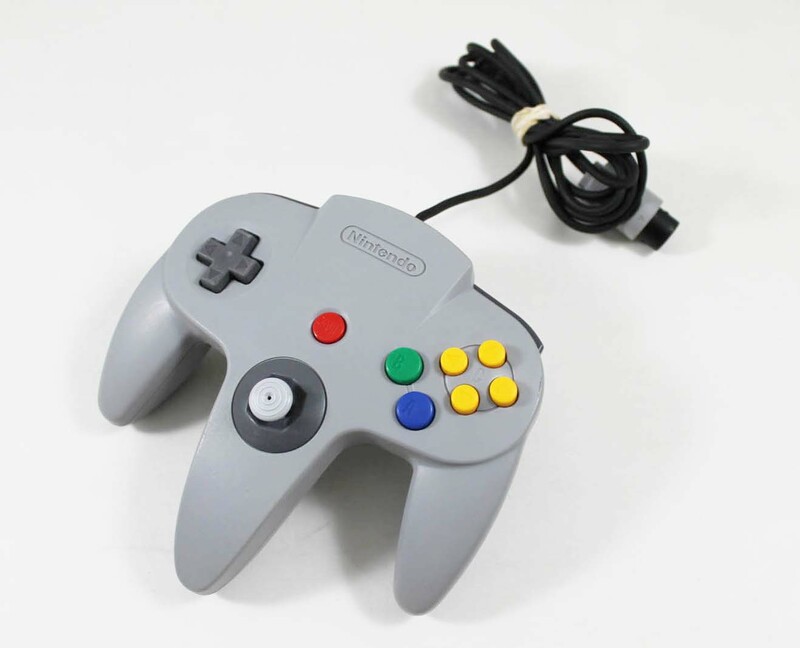 Gray Nintendo 64 controller in GREAT condition! This is an original Nintendo brand controller, not a third party controller. It has been cleaned and tested. Both controllers just purchased arrived on time as always. This order controllers are stiffer and not as responsive. One after using for a while just drifts off. This order is first one that I'm not happy with after numerous previous orders. Maybe I have to loosen the works. I trust Lukie Games, they usually always send great quality used stuff. This controller though, it's bad. The left thumbstick is worn out, with plenty of plastic dust surrounding it. It gives a muddy feeling of control. Maybe Lukie should rate the quality of the piece and let me pay for what condition level I'm getting. As it is, it's a roll of the dice and in this case, I got a bad deal. Stiff was much stiff for my tastes, thankfully replacement sticks work better and are super cheap on this website! I bought 2 of these controllers expecting them to not be the greatest and they’re just that. Not good but not completely terrible. 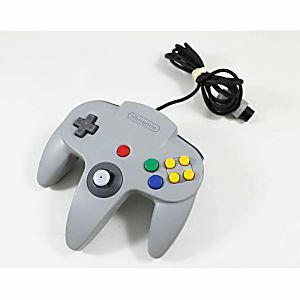 Bought two of these controllers to go along with a used n64 that I bought locally. Both of them work! The joystick in one was a bit squeaky on arrival, but I took it all apart and cleaned, and greased it - seems to be working ok now. I'll probably take the other one apart and clean it as well just to make sure it last a long time. Definitely better quality to the two 3rd party controllers that were included when I bought the system. Except for the absence of factory packaging, I can't tell in anyway that it was used. Lukie is always my go to for my N64! We looked on Amazon and eBay before finding this site and this is by far the best quality for the price. The controller arrived in excellent condition with a tight joystick and firm buttons so it seemed brand new. If you have any doubt, let me confirm that you should buy this one! Absolutely 5 stars. Not just for the controller, but the service as well. Controller looks brand new! And works like brand new too. The price was excellent and though I ordered on a Saturday, I received the shipping notice on Sunday, had the controller in hand on Wednesday (on a holiday Monday to boot!) Would I buy from Lukie again? Let's just say I'll be checking here first from now on. Controller came in and works awesome, exactly what I ordered and works way better than those 3rd partly controllers. I received 2 of these N64 controllers recently and have been playing them both for the last few days. The joysticks (the most important part to me) feel great and are responsive in game, as are the other buttons. I am very satisfied with both controllers, so thank you Lukie Games! All button works on controller when I got it, the only downside is that the joystick has been replace on this controller anyways the one I got did anyways. Therefore the joystick is a bit be sifter meaning bigger radius turns on Mario Kart or diddy kong racing this is somewhat frustrating. Also Z button works but you cant feel the actual pressing of it if that makes any sense, it is like caved in ex: if you play goldeneye or perfect dark you don't really realize when your pressing it or not causing you to waste ammo when your foes are already dead. Controller came quickly and was basically a brand new n64 controller. Ordered two and both worked like new. Very impressed. Controller worked as described, will definitely order another one soon.